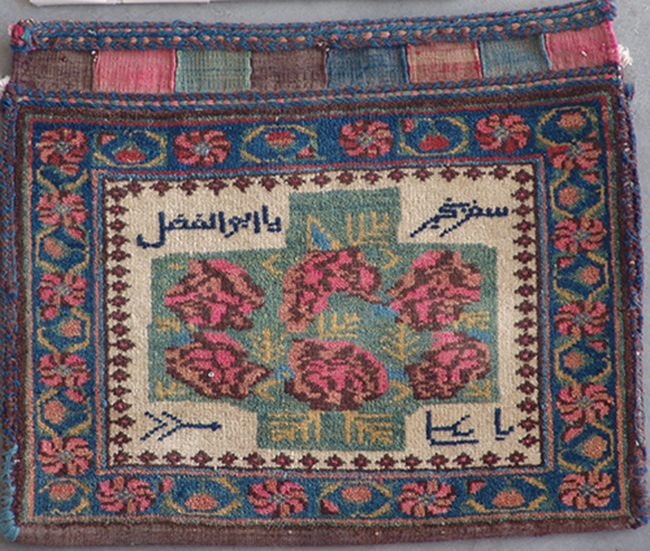 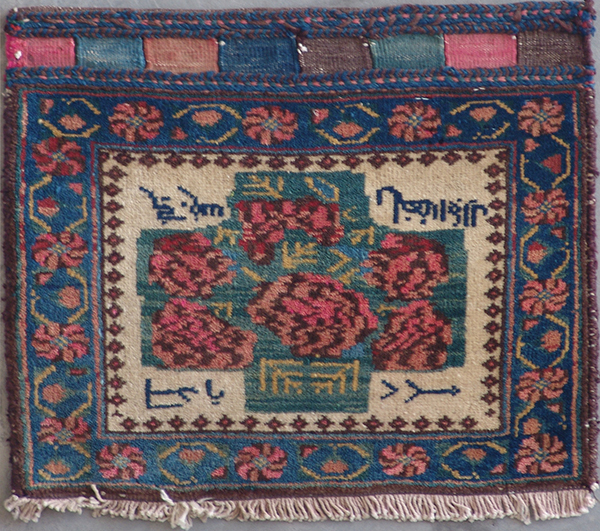 One-of-a-kind, antique Persian Afshar in gorgeous natural dyes with Farsi inscriptions, perhaps a section of a saddlebag, in perfect condition. 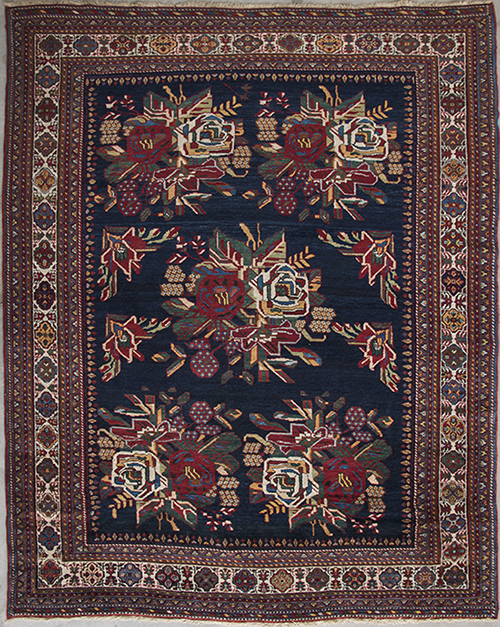 Exceptionally rare, semi-antique Persian Afshar from early 20th century in a beautiful allover geometric pattern, all natural dyes, hand spun wool on wool foundation, and in perfect condition. 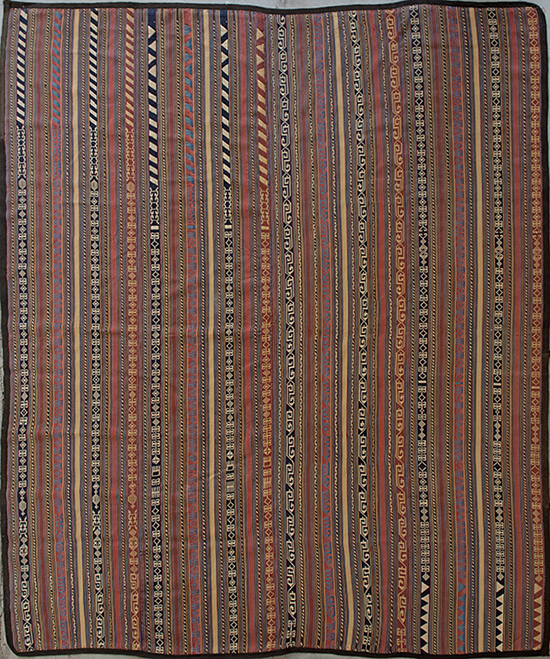 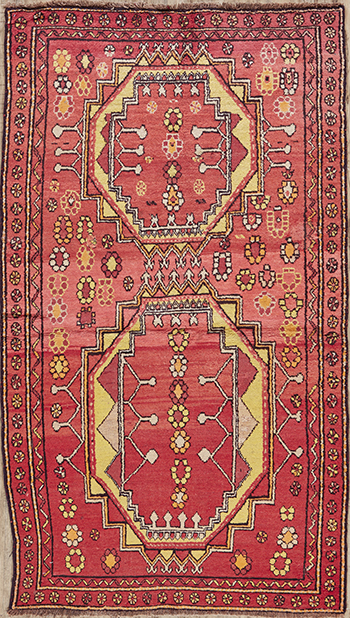 Super fine, antique flat woven Persian Qashqai kilim in an adorable "Moharramat" design and in perfect condition, one-of-a-kind, a collector's piece. 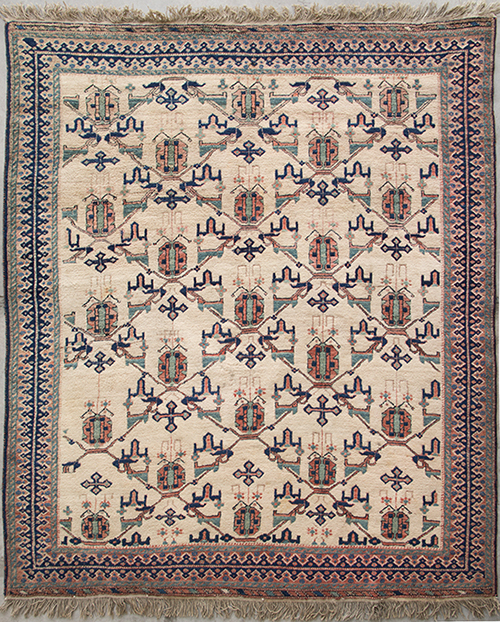 Super fine, antique Persian Turkeman (Yamut) from late 19th century in a gorgeous design of repeating "Gul" motif, all natural dyes, and surprisingly in a perfect condition, harmoniously matured, truly a collector's item. 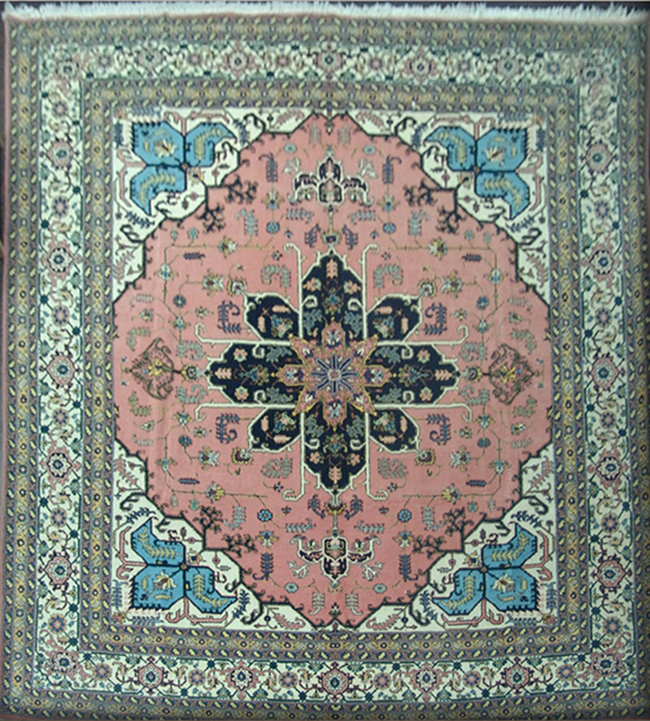 An old Persian Ardebil rug with a beautiful color combination and a very unique square shape. 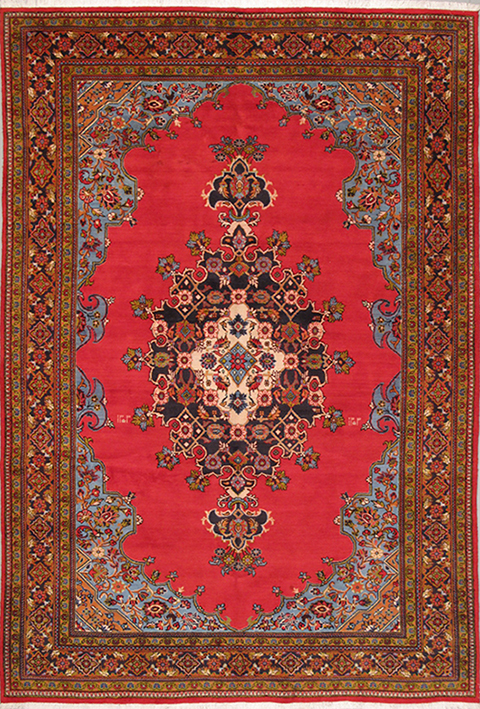 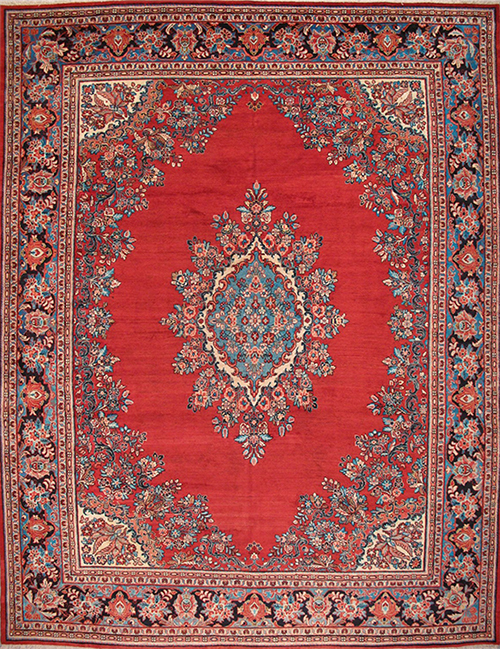 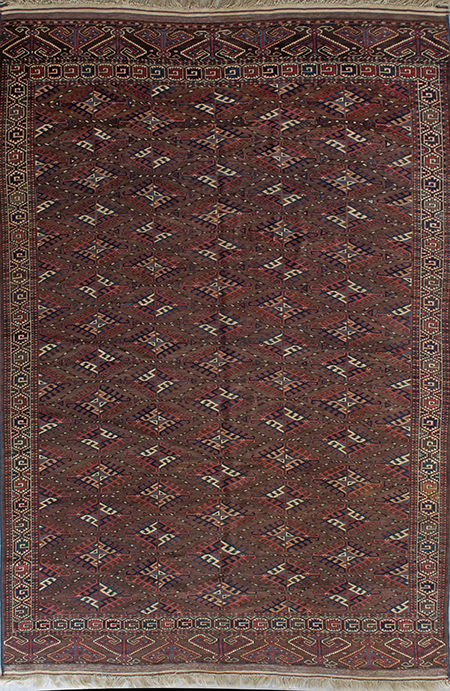 Old Persian Ardebil from early 20th century in a beautiful geometric design, a great color combination, wool foundation.